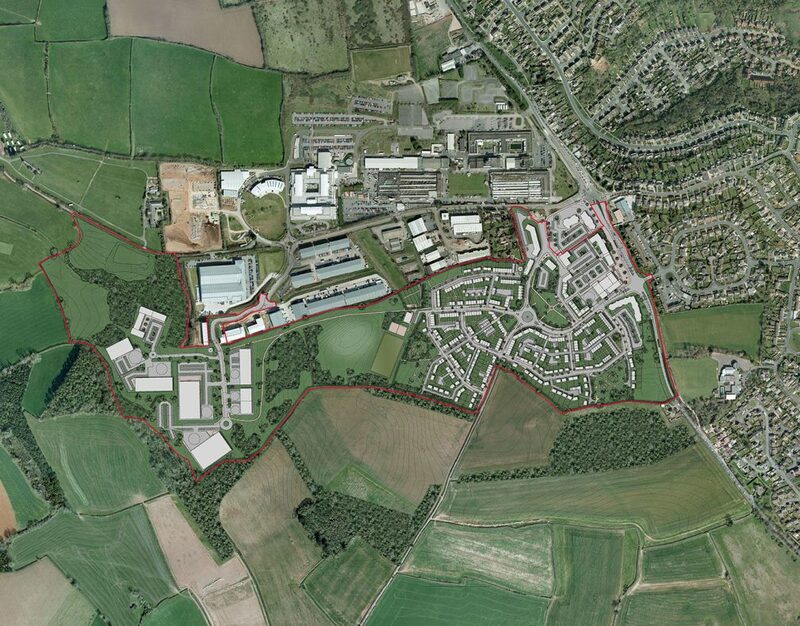 Following our earlier successful application for a business park on the site, the scheme was not progressed owing to difficult market conditions. We were then re-appointed as the lead consultant in the preparation of a planning application, including EIA for an urban extension on an extended site. 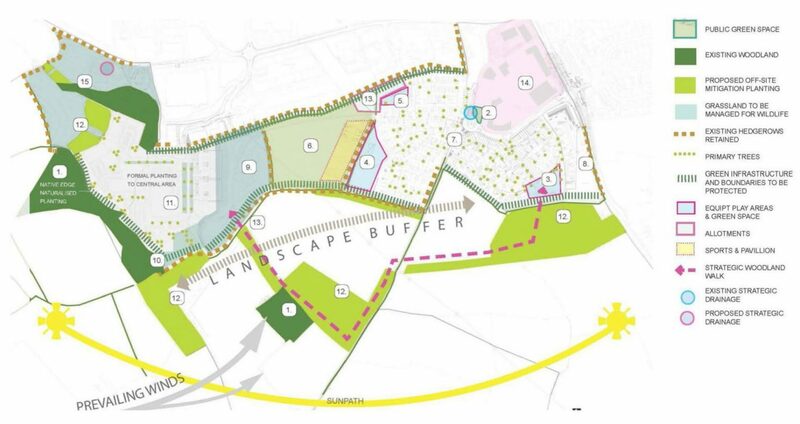 The proposals are for a mixed use development on a 92 acre site including 350 homes, 400,000sqft of workplace, a local centre with convenience retail, hotel, pub and community uses with large areas of public open space, playing pitches, allotments and a central park. Significant off-site woodland planting and associated ecological enhancements are also included. Working with our sub-consultant, Lavigne Lonsdale, resulted in the site being considered as suitable for inclusion for mixed use housing as part of the emerging Core Strategy and Site Allocations DPD. Accepting that an EIA was required, we prepared the scoping opinion and coordinated the Environmental Statement and a comprehensive outline planning application, which included a Building for Life informal assessment. We were engaged in the post resolution discussions with Torbay Council in relation to a Landscape and ecological management plan and drafting of the s106 obligation. We developed a collaborative working arrangement with the council resulting in a comprehensive public consultation and engagement strategy. Under the title of the White Rock Neighbourhood Forum, this was created to share best practice methods of engaging with local community groups. This is now considered by the council to be the model against which future schemes should engage with local interested parties.